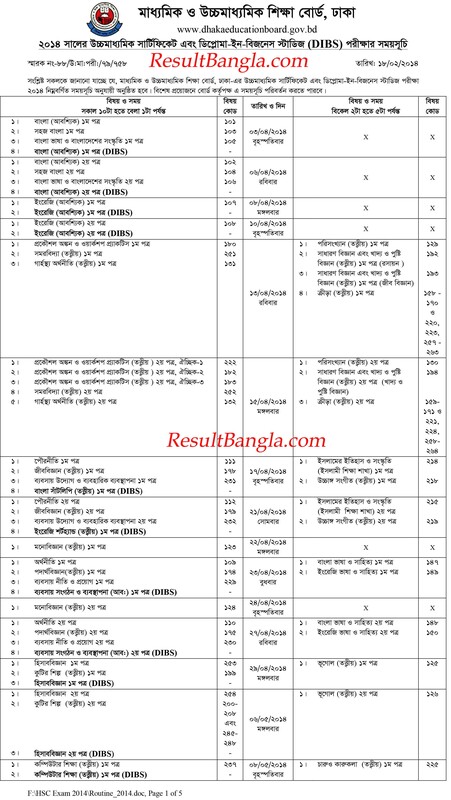 Bangladesh Educational Board published the HSC and evaluate Exam routine 2014. The Exam will begin 03 April 2014 till 05 June, 2014. And Practical exams will be held from 07 June, 2014 to 19 June, 2014. We’re always ready to assist Bangladeshi students. So, not only HSC Routine 2014, We’ll publish HSC Result 2014 for you. Always we’re trying to provide you effective educational information, exam schedules and results in time. So, Stay with us. . .